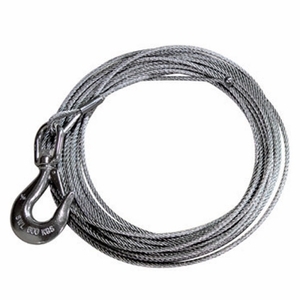 These wire rope assemblies are made to fit Thern winches, and they are made with all stainless steel components for maximum corrosion protection. They feature the necessary ball fitting, which is professionally swaged into place (on applicable models only). The other end features either an oval or eye swivel hook with a safety latch. Simply choose the size you need from the list below.